Over the last month I have read Google+ for Photographers by Colby Brown. While I have been on Twitter and Facebook for sometime, we all know that Google was sort of a “Johnny Come Lately” to the world of Social Media. I have had a Google+ account for some time, but didn’t really know where to start for using it. You can find out more about Colby on his own Google+ page or at his web site below. As the book describes, before Google+, photographers had to rely on visiting other social media sites like Twitter, Facebook, and Flickr, to display their work and interact with others that have the similar interests. In a way, Google came up with a social media that was tailored to photographers—Google+. This book is a great resource for getting yourself up to speed with how to manage your account, build a brand, and interact with others. While I consider myself extremely tech-savvy, I did come away from reading this learning a few tricks myself and understanding how to better manage a Google+ profile. I think the information I gained from this chapter really helped me understand why Google+ is here, and it will stick around. Unlike Facebook and other web sites that are considered social networks, Google has almost created a new class of online interaction—an “interest network”, as they refer to Google+. Reading through it, you’ll move onto the next chapter with more clarity of why Google+ is great for the artistic community—whether you’re a photographer, artist, illustrator, or even a knitter. Colby goes through some important features within a profile here and how you should think about the information you include on your profile so that you’re properly “engaged” in Google+. In short, if you’re a photographer who has a business, this is where you’re going to understand why it is important to have a brand and how best to market your offerings and learned knowledge on Google+. If you’re a first time user of Google+ (not even having an account, for example), this is where you will finally get help with creating an account, adding photos, understanding how to add friends, and making sure your profile is setup in such a way to ensure nothing is left out. I have to say, this is very detailed and Colby did a great job with the instructions and breaking down the sections of a Google+ profile to take advantage of the features. However, one thing to note—like any internet-based instruction manual—Google+ has been refreshed since Colby’s book was published. While it’s been a little over a year since Google+ launched, I think this is the only frustrating part of Google+ for Photographers. Note though that all of the features are still active on the new look in some way, so beyond having to make some minor adjustments to the new profile. For example, today, you have a banner image next to your profile photo instead of five thumbnail images. This is where I started to learn some new tricks. While I had a basic grasp of how Google’s “circles” worked being that you could categorize friends, family, school mates, etc., I learned how the circles actually help with filtering content to ensure that only certain people could not only receive the information, but others wouldn’t be privileged to see it unless they were in that circle. Throughout the chapters before this, you learn a couple things about what Google is doing. You learn that Google has their employees on Google+ for you to interact through Circles, etc. Yes, you can talk with a real live employee who either works on Google+ directly or another on of the Google projects. Here, you will also learn how interacting on Google+ actually helps with pushing photographers and their work to a higher position on the search list that we see when we search on Google. What this chapter is offering is how to fine turn your interactions. Everything from what you do and don’t want posting on your stream and how to include a fellow Google+ user—can you guess?! Yes, just add a “+” in front of their name (+Timothy Lusk). You can also Twitter-fy it and used the @Timothy Lusk. Like anything with a lot of information, it is best to keep it organized… This chapter goes into great detail on how to keep your photography organized in the way you share it, categorize it, and make sure that your fellow Google+er’s know where to find the photos that suit their interest. If you’re familiar with Google’s photo gallery, Picasa, you’ll be able to breeze through this chapter. If not, and you’re using Flickr or another sharing site, you shouldn’t have a problem becoming aware of the ways to date, organize, and share your galleries with your friends, family, and circles. While there is a lot that is like Facebook and Flickr on Google+, Hangouts are where Google has singled itself out and moved away from the social media pack… I would say this is a big draw to those you are heavily involved with online webinars and continuing education sites that support live or recorded video instruction. It’s using a Skype-like video playback to meet with others, but with Hangouts, you can have more than one video connection going at the same time. Colby has some great examples of using Hangouts for gear review, critiques, tutorials. In short, think of it like a “live” version of YouTube. To start, I want to say that I do have the Google+ app for my iPhone, and before I go into the chapter itself, I would like to mention (if you haven’t already uncovered it), the default features for the application automatically publish your images to Picasa and Google+, BUT they are not shared publicly until you approve to release them. To best sum up this chapter, it is best to say he will “cover the ins and outs of the Google+ mobile app and explain the importance of keeping in touch while on the road.” And he does just that. He walks through the mobile app and breaks down what the features do and what you gain from an iPhone, Android, or Windows Phone. Throughout the book, there are green boxes called “Colby’s Quick Tips”. Read them, read them all! I think I learned more tricks from those than I ever thought existed on Google+. Another great addition to this book are the Q&A sections with other photographers and how they take advantage of Google+ and what it offers to their business and gaining clients and recognition in the photography industry. 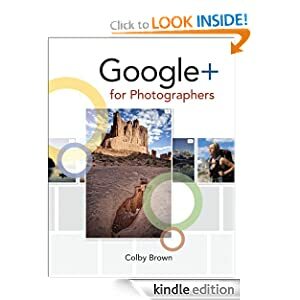 If you are new to Google+ and/or are looking to further expand your photography through a social media, I would recommend this book as a great starting point. 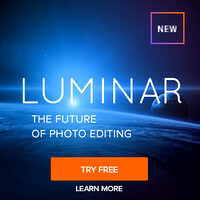 I will say though that this book can be seen as VERY focused on the professional/business photographer who actually shoots as a career and that is their sole income. The reason I say this is due to the reality of asking yourself… Do you have time to glue yourself to yet another online media outlet? In a way, if I hadn’t already committed myself to Facebook, Twitter, Flickr, etc. and I was looking to join onto a new outlet for my photography, I would have focused 100% on getting my Google+ account up and running to work for me. So, if you know of someone looking to move beyond the masses of Flickr or Facebook to share their photos, please introduce them to Google+ and this book… I don’t doubt they’ll thank you later. 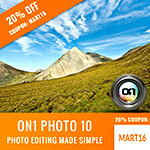 Support this blog by buying your copy of Google+ for Photographers on Amazon.com or get your Google+ for Photographers Kindle Edition on Amazon.com. 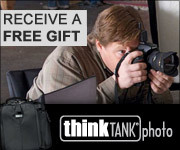 If you make a purchase using links found in this article, I may make a commission. I was provided a copy of this book by the publisher to review for you and loaned it to a co-work who graciously wrote the text here for use on this blog.